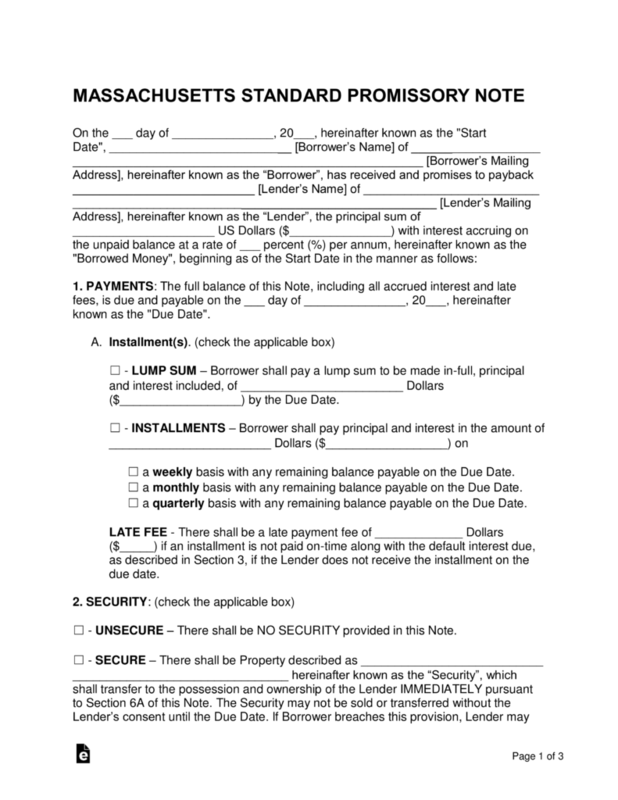 The Massachusetts promissory note templates outline the specifics of an agreement between a lender and a borrower of a monetary balance. The templates also add legality to the deal, and help to ensure the borrower makes timely payments to the lender. Both parties should complete the document together to ensure everyone is on the same page. 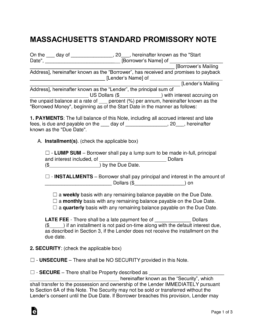 Secured Promissory Note – This version includes a security section. Security is an item or items that typically consist of a home, vehicle, or boat that is in possession of the borrower. The secured items are given to the lender in the case of a default that the borrower cannot recover from. Unsecured Promissory Note – This version poses a far greater risk on the lender, as there is no built-in security for the lender. In the case of a default, the lender would be left resorting to small claims court and reporting the default to the borrower’s credit.